Getting his start in Frankfurt in the early 1990s, he began his electronic education young, guided by the DJ sessions of none other than the legendary Sven Väth. 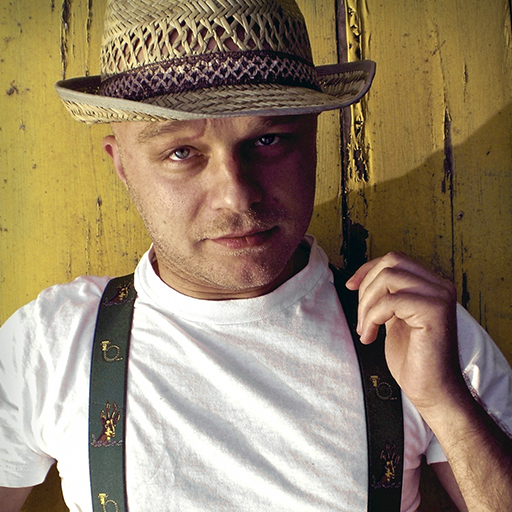 Relocating to Berlin in 2006, his sci-fi sound design and experimental approach to electronic production have earned him a growing following of dedicated fans. Miro's abstract musicality and geometrically sensual rhythms conjure a surreal yet functional take on techno and house. His passion for detail and character lift his productions above the avalanche of music released on a daily basis. Remixing artists such as Pig & Dan, Tony Rohr and Marc Houle, Miro's confident sensibility - rooted in analog hardware - is navigated flawlessly in the digital realm. Communicating primarily through his own Lazerslut imprint, his non-conformist productions are a prime feature of his reputation as a distinctive artist thriving in one of the most bustling music scenes on Earth. A very nice view into how to make an effective techno track. Not a theoretical course or a make-EDM-call-it-techno type course, but good, solid advise on how to make old school techno. In these videos Miro shares with us a few of his tricks to get a professional sounding mix. His explanations are easy to grasp and his examples are inspiring. Also, even though Miro explains his tips in Live, I don't think any of these tips is applicable to Live only. I'm on Logic Pro 9 myself and find most tips can be easily applied to Logic and 3rd party plugins I own. But It might be a bit harder to understand what he's doing if you've never worked in Live at all. If you want to make a better mix and learn some tricks of the pro's and have some working knowledge of Live, then this series is wholeheartedly recommended! An interesting course with a lot of creative tips, so you can create unique sounds.